Fall festivals are still in full swing in the Capital Region, with the Halfmoon Fall Festival, LarkFest, Saratoga Giant Pumpkinfest, and Adirondack Balloon Festival all happening this weekend. Get the details on each and see what other events are worth checking out. Find fun fall activities for the whole family at Halfmoon Town Park with the Halfmoon Fall Festival. There will be games, a magician, a bounce house, a rock climbing wall, pony rides, a petting zoo, and much more. LarkFest returns to Lark Street in Albany this weekend with anticipated attendance at over 80,000 people. Catch great live music, enjoy fantastic food from food trucks, and browse over 100 vendors selling handmade items. There will also be face painting and other activities for kids. Check out the biggest pumpkins you’ve ever seen at the Saratoga Giant Pumpkinfest at Sunnyside Gardens in Saratoga. Pumpkin growers from around the state will be competing for the biggest pumpkin of the year. Want to enter your own pumpkin? It costs $15 and there is late registration available that morning. Happening in Glens Falls and Queensbury, this festival is worth the drive! Head up north to see hundreds of hot air balloons take to the sky. Corresponding events will be happening throughout the weekend as well. If you’re into antiquing this is the event for you. Over 60 vendors will be in attendance at the Lakeside Farm Antiques Show in Ballston Lake selling glass, china, jewelry, artwork, quilts, collectibles, records, and more. The annual Nick’s Run to Be Healed 5K is happening in Clifton Commons. The event includes a kids run, a 2-mile walk, a 5K run, a Zumba warm up, and a carnival, and is in memory of Nick Cammarata, who passed away in 2008 from leukemia. Registration is $25 before midnight on Thursday, the 21st, and $30 after. 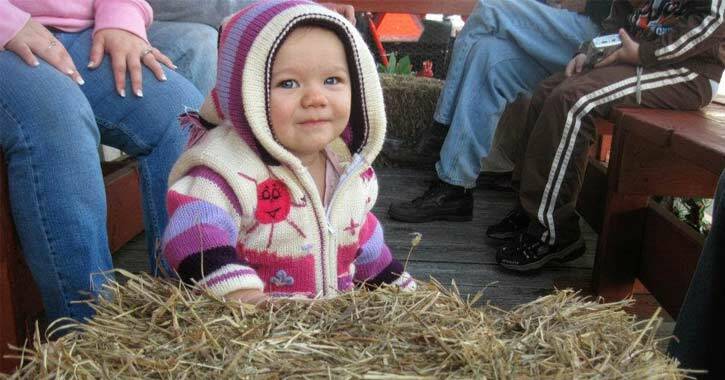 Double M Haunted Hayrides opens for the season on Saturday in nearby Ballston Spa. If you haven’t experienced this haunted attraction yet you’re missing out! And, opening night has a special rate of $18 (regular admission is $26). Reservations are required. The Friends of the Clifton Park-Halfmoon Library is holding their annual Used Book Sale right at the library all weekend. You can find paperbacks for $0.50, kids books for $0.50, hardcovers for $1, and more great deals. The annual Hudon Mohawk Antique Truck Show is happening at the Saratoga County Fairgrounds in Ballston Spa. If you can’t get enough of trucks you can see over 300 antique trucks at this show, which will also encompass a large flea market and swap meet. Admission is $1 with kids 12 and under free.